Water Quality Update Round 2: Reasons Why Our Test Results Are Different than ADEM's. 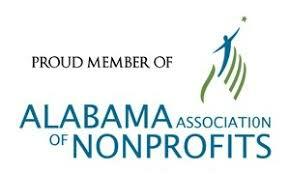 Mobile Baykeeper’s number one priority is the safety and health of our members and the community. We will always defer to the more protective test results and therefore at this time we are still advising swimmers to exercise caution at the Fairhope Beach. Thanks to the amazing response from the community and comments by Mobile Baykeeper the project was modified. The sewer line that is now in place was "hung" from the County Road 32 bridge, where a break or spill would be obvious and quickly fixed, a WIN for clean water and Fish River community members! This victory is clear proof that YOU can affect change! It is Mobile Baykeeper's firm belief that utilities must do their utmost to review their systems, determine where deficiencies exist, invest in their systems, and when a spill occurs ensure that immediate and widespread notification takes place! Baldwin County Sewer Service is proposing to put a sewage line under the Fish River, a river utilized by many community members to recreate and which ultimately flows into Weeks Bay. Mobile Baykeeper and our members have raised significant concerns with this project. Allowing a sewage line under Fish River, would create the potential for a massive sewage spill. Read more to find out how YOU can get involved.